This one zings, zangs and whoops. Hotter than Ghost Pepper Salt! This is a natural flake salt fused with the Trinidad scorpion pepper. It only comes in one size. A little goes a long way. Truly hot, but when fused with salt, it has more flavor. 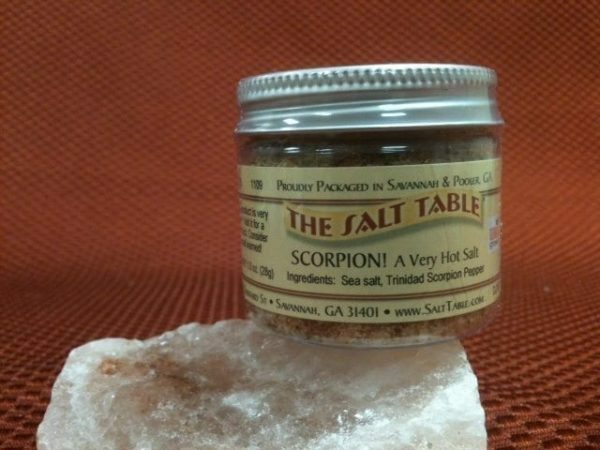 Ingredients: All natural sea salt, Trinidad Scorpion Pepper.